You learn all kinds of things publishing a book. Whenever anybody tells me they have read The Peacemaking Church, I’m so very grateful and appreciative for their investment of time and effort. Additionally I request that they post a fair and honest review at online sales giant Amazon. Everything Baker Publishing tells me about getting my book out into the world depends upon a strong showing in these evaluations. Twice now folks willing to do that have reported back to me getting shut out of Amazon due to their lack of purchases over the past twelve months. Go figure. I asked one of those readers if he would grant permission for me to post his review on my blog. He graciously consented. Pastor Heffelfinger offers valuable perspectives for the pursuit of unity among the saints. He puts before us the challenge to endeavor to be the kind of people who treasure a unified Church; who are vigilant in turning the spotlight inward to identify corrosive idols so that, as he proposes, “[T]he best fight your congregation ever experiences is the one you never get into in the first place.” The truths presented in The Peacemaking Church are weapons in a believer’s arsenal that will awaken (or perhaps reawaken) beautiful, powerful insights unique to the function of this Body to which we belong. Pastor Heffelfinger has lived out these insights, and the case he presents will only help to strengthen your own peacemaking quotient. I wrote this book in the hopes of making readers peacemaking strong. Jan and I continue to pray that the Lord will use it to that end with whomever he will. Thanks, Jeff, for the kindness of your favorable review and especially for ending on the word quotient! Question: What will you do in 2019 to help strengthen your peacemaking quotient? On Sunday evening, November 25, I experienced my first-ever book signing event. I had no idea what to expect. Talk about new territory for this rookie author! I wondered how many folks would possibly venture out on a holiday weekend for such a reason. We didn’t count heads, but the numbers and the outcome far exceeded my expectations. One, the gracious hospitality of Orlando Grace Church in opening the fellowship hall for the evening and for making the atmosphere so utterly attractive and warm. Two, for Kathy H. and a host of other servants who bent over backwards to make Jan and me feel welcomed and to serve our guests with top-shelf refreshments and care. Three, for family, OGC folks, previous church folks, La Floresta neighbors, and even people I’d never met before waiting patiently in the long line for signing and pictures. Four, for my neuropathy-impaired right hand holding up through two-plus hours of signing and contributing reasonably legible notes and signatures. Five, for how many folks purchased multiple copies informing me of their intention to gift their pastors with one. Jan and I repeatedly pray that the Lord will put The Peacemaking Church in the hands of whomever He will for the good of their souls and the peace of their churches. Six, for getting out nearly every single copy of the six cases we had Baker ship to Orlando. I took only three copies back home in my carry on. Seven, for a deacon who took twenty-five copies to give to family and friends as Christmas gifts. Thankfully he required me to sign just the one for him! Eight, for everyone who supported the launch with a purchase of the book. And nine—if I may be so bold to give thanks in advance for this praise—for everyone who will read the book they bought and post a fair and honest review on Amazon as soon as possible. The presence of numerous reviews makes a big difference in getting a book out into the world and Amazon is the place to do it. You can post your review here. Again, my thanks to all who contributed to a book launch beyond my wildest dreams. Please pray with me that the Lord will use The Peacemaking Church to His glory and the church’s good! Question: What quote or idea from the book thus far has impacted you? It gives me enormous pleasure to announce that Orlando Grace Church will host an evening of giving thanks for launching the availability of my book. I dedicated The Peacemaking Church: 8 Biblical Keys to Resolve Conflict and Preserve Unity to the covenant members of OGC. Without their story such a work would have never come into existence. It only makes sense to travel back to Central Florida for a book launch party! Please join Jan and me on November 25, 2018 for a night of savoring what the Lord has done through his people. Come and stay or visit for even just a few minutes in the OGC fellowship hall from 6:00 to 8:00 PM. For this special event copies of the book will be available for purchase for the one-time-only cost of $10 ($15.99 retail). I will be signing copies throughout the evening. Finger desserts, a coffee bar, and punch will be served. Bring a friend and pick up a copy of The Peacemaking Church for yourself and perhaps a few more for gifts this holiday season. Books change lives. I believe that with all my heart. Over forty-one years of walking with Jesus now, I have experienced over and over again the power of God unleashed in my life through an extra-biblical resource devoured at just the right time. That’s why we have a resource center at OGC. And it’s why we feature various works from time to time in order to commend them to folks. 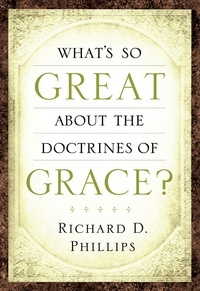 For the first quarter of 2014 I have decided to draw attention to Richard Phillips’ excellent volume called “What’s So Great About the Doctrines of Grace.” For my previous review of this primer on the doctrines of grace click here. Why beat the drum for a book for a second time? Couple of reasons. First, new folks to OGC will profit immensely from reading these pages, especially if the grid of reformed theology is something of a new concept. 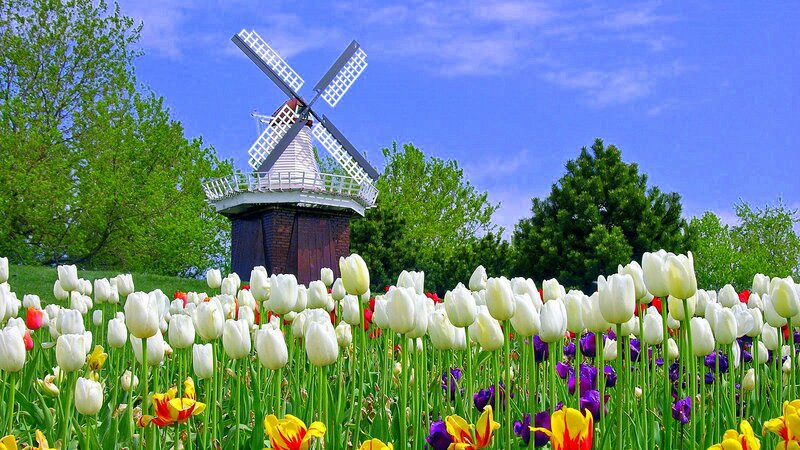 You won’t find an exhaustive treatment of TULIP within, but you will get a first-rate introduction to glorious truth. Second, the volume will accompany quite nicely one of our new Equipping Hour (9:30-10:30 AM) classes starting this Sunday, January 5. Deacon Matt West will teach an introduction to reformed theology (meets in W1). If you have yet to take this core class in our three-year discipleship scope and sequence, I urge you to do so this time around. Of course you won’t go wrong with either of the other two offerings, namely biblical finance (F4) and New Testament (G0spels, Acts, & Hebrews – W5), but for a church with our confession of faith, everyone needs to take the reformed theology intro at least once. I am happy to say that we have nearly a dozen or so copies in the resource center for the low price (our cost) of $7.00. Pick up a copy this Sunday! While surfing the web recently in search of Advent resources to use for our church, I stumbled across a little book with a provocative title. 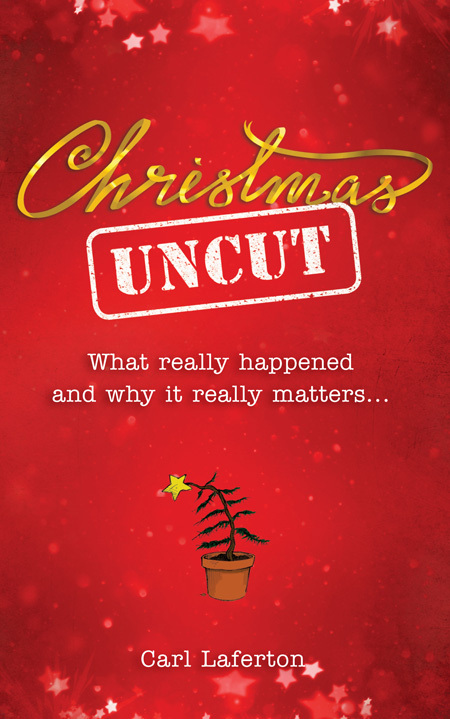 Christmas Uncut: What Really Happened and Why it Really Matters, by Carl Laferton (The Good Book Company, 2012, 64 pages), offers an unusual take on the Christmas story that engages, informs, and convicts on several levels. We’ve turned Christmas history into a nativity play. I don’t want to be a spoilsport. Nativity plays are part of the whole Christmas experience, along with desperate last-minute shopping and sending cards to people who you didn’t make the effort to see last year, and won’t make the effort to see next year. . . . It’s just that the real Christmas is much more interesting than what we’ve turned it into. It’s worth rescuing and re-telling. . . . What there was at the first Christmas was scandal. Controversy. Massacres. Mystery (p. 6). In the brief chapters that follow, the author seeks to accomplish three things. First, correct misconceptions. By taking the reader through the biblical texts, he tells the real uncut story and sets the record straight. Second, make application. He skillfully spans the horizons between the first century and the 21st showing how the uncut details of the Christmas story can and should make a difference in our daily lives. Third, answer objections. Realizing that his book may well fall into the hands of skeptics and hoping, I suspect, that believers will put copies there, Laferton offers some “Yes, but” chapters at the end addressing answers to questions as to the authenticity of the gospels, the identity of Jesus, and the historicity of the resurrection. I can see this resource serving multiple purposes in the Advent season. First, if you feel the need for a fresh look at the story of Christ’s incarnation to jump start your joy in God this Advent season, I believe this will help. Camp out in these pages throughout December, maybe a chapter every couple of days, and ask the Lord to revive your enthusiasm in Him as you read its pages. Second, if you are the head of your household and want a tool you can use for family worship for you and your children, I think you will find this just the ticket. Kids will resonate with the artwork as well as the nativity play humor. Additionally, Lafteron writes in a straight forward, easy-to-understand style, that will communicate with just about everybody. Third, if you have been building a relationship with someone who doesn’t know Jesus, you could give them this as a Christmas gift. Ask them to read it and discuss it with you. This may be Lafteron’s biggest contribution in writing Christmas Uncut. While the apologetic details of the final chapter only provide a minimum of ammunition for answering the skeptic’s questions, it will give you a starting place. I read this little book in one sitting and found my heart all the more grateful for the tidings of great joy that lie at the heart of the Christmas story uncut. I trust you will too. Don’t think of it as rushing things. Yes, I know we still have a few days left in December. And we still do have a copy of December’s resource of the month left in our resource center for anyone still needing to snag John Piper’s Momentary Marriage for a measly $5. Think of this post as a way to get a jump on the New Year with another great read. January’s resource costs twice as much at $10 per copy, but I assure you it is worth the cost. I selected How to Read to Read the Bible for All Its Worth by Gordon Fee and Douglas Stuart (Zondervan, third edition, 2003, 275 pages) for a time-sensitive reason. Beginning January 7 during the 9:30 AM Equipping Hour at OGC, we will commence three new classes in our discipleship scope and sequence. For more information on all three check your insert in tomorrow’s worship bulletin. Also, look for future blog posts on this site by all the instructors. What we do hope to achieve is to heighten the reader’s sensitivity to specific problems inherent in each genre, to help the reader know why different options exist and how to make commonsense judgments, and especially to enable the reader to discern between good and not-so-good interpretations–and to know what makes them one or the other (p. 21). They open with an informative chapter on choosing a good translation. While I would differ with their recommendation to favor the TNIV, they do make several good arguments for why consulting multiple translations makes sense for solid Bible study determined to get at the commonsense meanings of a text. Why they have so little to say about the ESV, given its widespread popularity in evangelical circles these days, puzzles me, but that does little to detract from the helpfulness of this resource. They close with an appendix on the evaluation and use of commentaries that includes suggested volumes for various books of the Bible. Starting tomorrow we will have over twenty copies of this book for purchase in our resource center for $10 each. Why not get a head start on this important subject by picking up a copy to read over the New Year’s holiday, especially if you intend to take Ted’s class? If you want to avoid bad interpretation of the Bible and recognize that not bothering to learn interpretation skills is not the answer but rather doing good interpretation based on commonsense guidelines is a nonnegotiable, then this book is for you. Looking for a special gift with a spiritual thrust for someone this Christmas? Why not consider this new devotional from New Growth Press, Heart of the Matter: Daily Reflections for Changing Hearts and Lives (2012, 412 pages)? This offering of daily devotional readings with suggested Scripture passages comes from the good folks at CCEF, a favorite around our ministry for promoting biblical counseling from a Christ-centered, gospel-shaped perspective. Change that goes deeper than the surface of our lives happens over the long haul as we daily remember and connect the truths of the gospel to our lives. Every day we need to be reminded – in different ways – that Jesus, God’s own Son, came to this world to save us from sin, sorrow, and death. The promises of God, which are all “yes” in Jesus, change the way we view ourselves, our circumstances, and other people. See how God values relationship and to learn to value it too by persisting, by speaking truth in love, and by not shying away from conflict. Grow in wisdom when confronted by life’s changes. Learn that God works change that is effective and visible. This hardback gem retails for $19.99. We managed to secure a dozen of them for only $8. Pick up a copy this Sunday in the resource center! The good folks at Desiring God have done it again. True to their mission to promote the supremacy of God in all things for the joy of all peoples by providing excellent resources at rock bottom prices they recently made available case lot quantities of John Piper’s first rate book on Christian marriage for a ridiculously low price. I purchased a case and determined to make This Momentary Marriage: A Parable of Permanence, (Crossway, 2009, 191 pages) our November resource of the month. The aim of this book is to enlarge your vision of what marriage is. As Bonhoeffer says, it is more than your love for each other. Vastly more. Its meaning is infinitely great. I say that with care. The meaning of marriage is the display of the covenant-keeping love between Christ an his people (p. 15). In the first third of the book, the author painstakingly unpacks that overarching theme showing how marriage between a husband and a wife ultimately points to the mystery that is Christ’s union with His church (Eph. 5:32). He shows how the gospel informs and shapes Christian marriage in chapters like Staying Married is Not Mainly About Staying in Love and God’s Showcase of Covenant-Keeping Grace and Forgiving and Forbearing and Pursuing Conformity to Christ in the Covenant. In the second third of the book, Piper gives special attention to the responsibility of the husband to to practice what he calls lionhearted and lamblike headship and the responsibility of the wife to practice what he refers to as fearless submission. Rarely have I read a more balanced treatment of these challenging subjects. The final third includes a brilliant twist one would rarely expect in a book on Christian marriage – two chapters on singleness! Single in Christ: A Name better Than Sons and Daughters, chapter 9, is a must read for anyone struggling with pangs of loneliness and feelings of being second class in the body of Christ for the absence of a spouse. Singleness, Marriage, and the Christian Virtue of Hospitality, chapter 10, lays down some challenges for both kinds of stewardship in the body of Christ. Singles, don’t think for a minute that you cannot profit from a book like this on marriage! These two chapters offer rich comfort and stirring conviction for your soul, if you will have them. Along with the challenging subject of singleness, Piper also tackles sexual intimacy, childbearing, and divorce and remarriage. As always in all these things, he anchors his views in Scripture as he understands the Bible in each of these areas and writes with a pastoral heart for the peaks and valleys experienced by all in traversing the relational aspects of what it means to be male and female together. Multiple copies of this book are now available in our resource center for only $5 each. For a free PDF download of the same book from Desiring God click here. Here is my challenge, particularly to our married households in OGC. Christmas is coming. Let us determine that we will give ourselves and our church stronger marriages this Christmas. I want to challenge as many of you as are willing to take up the charge to get a copy, husbands and wives, and to read through this together, praying, discussing, and sharing all along how God would strengthen, change, and grow your relationship. Whether your marriage suffers from particular distress right now or enjoys a season and pattern of blessedness, you can profit from this read. Pray with me that God will do a work in our households here at the end of 2012!